The Warriors have come to terms on a three-year contract extension with center Andrew Bogut worth up to a possible $42 million if incentives are met. According to Yahoo! 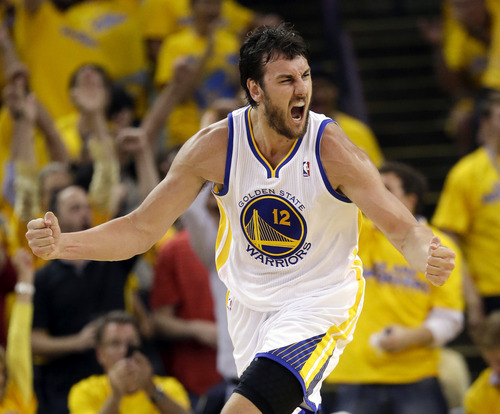 Sports, Bogut will earn upwards of $13 million in the 2014-15 season before his base salary descends in his final two seasons: $12 million in 2015-16 and $11 million 2016-17. Acquired from the Milwaukee Bucks in March of last year, Bogut has played in only 44 total games for the Warriors (12 of them being playoff games). 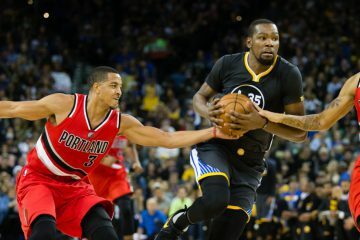 Traded for the oft-discussed Monta Ellis and promising young big man Ekpe Udoh, Bogut’s tenure with the team got off to a rocky start. Riddled by a multitude of injuries and false reports, Bogut was nothing more than a suit on the sidelines for what seemed like an eternity before proving his worth last season. As with Stephen Curry’s extension before last season, Bob Myers hopes that this indeed becomes another buy-low opportunity as it pertains to his future, previously injury-prone free agents. Myers and upper management made it known that security — and a happy Aussie — is the best plan as the season is about to begin. Bogut made it known last week that there were discussions with the team on a new contract, despite terms not being reached. The 28-year-old Bogut proved himself invaluable during last year’s playoff run and will now serve as the Warriors franchise center for the foreseeable future. 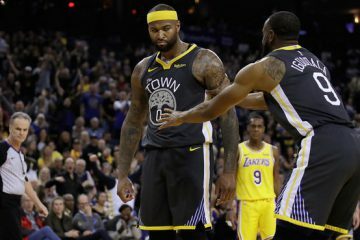 After missing out on Dwight Howard this past offseason, management made it known that they were more than satisfied with Bogut as their center despite pursuing the much-maligned Howard in free agency. The descending base salary also gives the Warriors future financial flexibility as Klay Thompson, Harrison Barnes, Draymond Green and Festus Ezeli are all up for contract extensions within the next two years. Myers and management take a significant risk with this extension given Bogut’s prolonged injury history, but no risk would be greater to the franchise than seeing Bogut walk after this coming season. 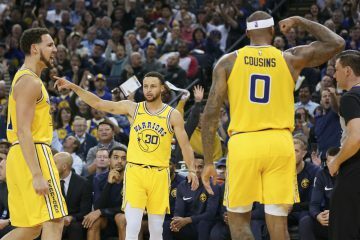 As with Curry’s extension, the Warriors assume a possible catastrophe if something goes awry, but that’s a risk worth taking given the importance of their franchise center. Opening night is a mere five days away.